Congress to pit Priyanka Gandhi against Amit Shah in UP? She has long been the Congress's Plan B, and the drubbing the party received in the Lok Sabha elections offers as good a reason as any to finally road-test Priyanka Gandhi-Vadra in an executive position in the party. According to a front-page report in The Economic Times, the two options on the table are either to make Priyanka AICC general secretary (organisation), a position held currently by Janardan Dwivedi, or alternatively, president of the UP Congress, a position held by Nirmal Khatri, a relative lightweight. Barring Sonia and Rahul Gandhi's constituencies, the UP Congress did not win a single seat in the recent Lok Sabha elections. "Neither, the Congress leaders said, is likely to protest if Gandhi-Vadra gets their job," reports ET. The final decision, however, will be made by Priyanka. Amid the seeds of dissent sown in the Congress cadre following the failure of party vice-president Rahul Gandhi's methods, the clamour for a bigger role Priyanka has grown over recent months. CNN-IBN reported last week that many Congress leaders had said that only Priyanka can be an effective foil to Bharatiya Janata Party president Amit Shah, the architect of the BJP's sweeping 72-seat victory in the LS polls. There is no doubting the lure of an Amit Shah-Priyanka Gandi face-off, which would offer an irresistible spectacle to political leaders, observers and media mavens alikes. Moreover, the Congress certainly needs a fresh, decisive reboot. 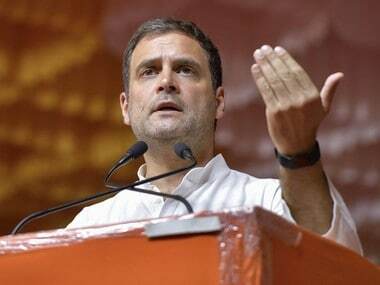 Dissent against Rahul Gandhi has dealt a body blow to its fortunes ahead of critical Assembly elections with senior leaders openly rebelling across the country -- Assam, Maharashtra, Haryana, Goa and more. The mutinous mood has not spared the UP Congress either. Last month, state party veteran Amir Haidar published a 20-page booklet titled 'Bitter Truth' trashing several aspects of Rahul's leadership, ranging from the zonal system to the long absences of Rahul's chosen man for UP, Madhusudan Mistry who was busy campaigning against Narendra Modi in Vadodara while he was supposed to be helming the UP campaign. Haidar may be nothing more than a disgruntled Congressman among several thousands like him, upset at not getting a suitable party post or ticket, but he was also considered by most to be a loyalist who joined the party in 1967 -- and his criticism was taken seriously by most insiders. He too has no doubt about the best way to revive the party's fortunes in UP. 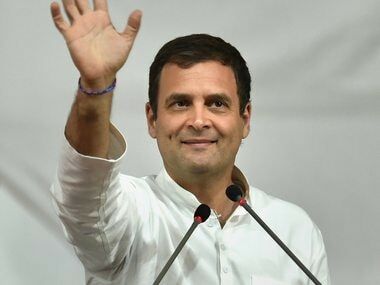 "He calls for a formal role for Priyanka Gandhi Vadra, recommending her appointment as AICC general secretary in charge of UP and Bihar, while also calling Rahul's role in the party critical," said this report in The Times of India. Of course, Haidar's suggestions came on the heels of other somewhat more sycophantic calls for Priyanka's assistance in the key northern state. Memorably, the very party men suspended for a controversial banner in Allahabad last year decided to launch another campaign last month, this time appealing for a Priyanka Vs Amit Shah faceoff. "Shah ko agar dena hai maat, Priyanka ko saunp do Congress ka haath" (If Amit Shah is to be defeated, hand over the leadership to Priyanka Gandhi), the banner said. It bore a photo of Sonia Gandhi and Priyanka. Rahul was missing. A banner raised in May called on Sonia aka "'Maiyya" to command Priyanka to take charge of Congress, with the added reference to Harivansh Rai Bachchan's inspirational verses: "Agneepath, Agneepath, Agneepath." The banner that got the aforesaid Congressmen into trouble last year, incidentally, made a case for Priyanka to contest from Phulpur, Jawaharlal Nehru's one-time constituency, stating that Sonia's recent health concerns had led to excess pressure on Rahul. The Economic Times report quotes senior leaders as saying the Congress revival will start only when the UP and Bihar units are re-energised. "As general secretary, Priyanka can lead our effort in both states... She would be best at building the organisation because she has excellent rapport with party workers." an unnamed Congress leader said. A dozen Assembly seats in Uttar Pradesh are going to bypolls later this year, but according to ET, the move to slowly ease Priyanka into a clear role of leadership could come after the elections in October. Until now, the exact extent of Priyanka's involvement has been a little fuzzy -- she is consulted on several large decisions, regularly meets senior party leaders and is said to be Rahul and Sonia's closest political confidante. At least some of Rahul's ideas are said to have been vetted by Priyanka. In previous interviews, she has said she gives advice on party matters when asked. 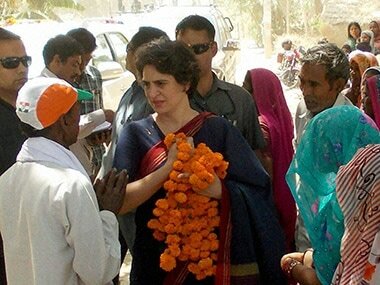 And, of course, she has campaigned as well, though only in UP and only in the family constituencies. Uttar Pradesh, long considered the most critical of states for national political parties, has not seen a Congress government since the late 1980s. The 2012 UP Assembly elections were won convincingly by the Samajwadi Party, which also swept the Rae Bareli and Amethi constituencies. 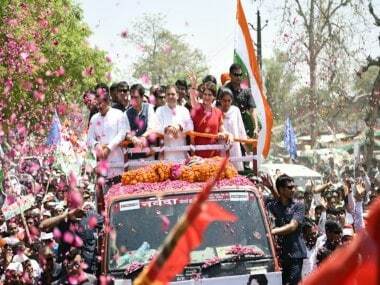 In one of her innumerable campaign rallies in 2012, Priyanka told the crowds, "I promised Ma that we will get her all the 10 seats of Rae Bareli and Amethi." The result: SP grabbed four of the five seats in Rae Bareli, and eight of the 10 assembly seats in Amethi and Sultanpur. The Congress retained one seat and gained another. Not just that, the SP also won nine of the 10 Assembly seats in neighbouring Congress strongholds of Pratapgarh and Sultanpur. So abysmal was the Congress defeat, it failed to finish second in 13 of the 20 Assembly seats within these four parliamentary constituencies. "Iss baar Priyanka ka jaadu nahin chala (Priyanka's magic has not worked this time)," said Pradip Tripathi, a Dainik Jagran reporter in Amethi, at the time. There is no reason to believe that her magical powers have revived since. But try arguing that little detail with enthusiastic UP Congressmen. And finally, there is the little question of Rahul. Sure, power-sharing may be easier between siblings, especially those as close as the Gandhis. But in every power partnership, one person is always the boss. If the Congress party is moving on to Plan B, as former Congressman and currently secret-spiller Natwar Singh succinctly puts it, "What will Rahul do then?" 1Congress to pit Priyanka Gandhi against Amit Shah in UP?